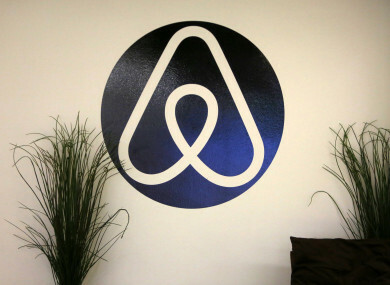 New laws regulating companies such as Airbnb come into effect from 1 July. LATER THIS YEAR, new laws will be introduced to regulate property owners who let out their homes on a short-term basis. From 1 July, new caps will apply to homeowners who want to rent out their residences, while the letting of second properties on a short-term basis will no longer be allowed. However, TheJournal.ie has learned that Airbnb is encouraging hosts to contact politicians about the proposed regulations to request that they are postponed. The company is understood to have told homeowners to ask politicians to seek a “grace period” in the introduction of the legislation and to tell Oireachtas members what effect the new laws will have on them and their local community. Airbnb suggests that the postponement of the laws would allow for fairer regulations that would support tourism in a way that benefits everyone. But those who support the laws say that hosts have had enough time to prepare for them, and suggest that they will help alleviate the housing crisis. So today we’re wondering: Should the introduction of new short-term letting laws be postponed? Email “Poll: Should the introduction of new short-term letting laws to regulate Airbnb be postponed?”. Feedback on “Poll: Should the introduction of new short-term letting laws to regulate Airbnb be postponed?”.